Play over 1000+ video/audio files with the built in player. "Can Mac play MP4? " Mac can play MP4, provided the codecs are supported by the system. Since there are different codecs associated with the MP4 file format, there is quite a possibility that your Mac system does not play the file if it contains non-supported codecs. So if you want to play MP4 on Mac, you can either install a player for the same or convert MP4 to other compatible formats on Mac. 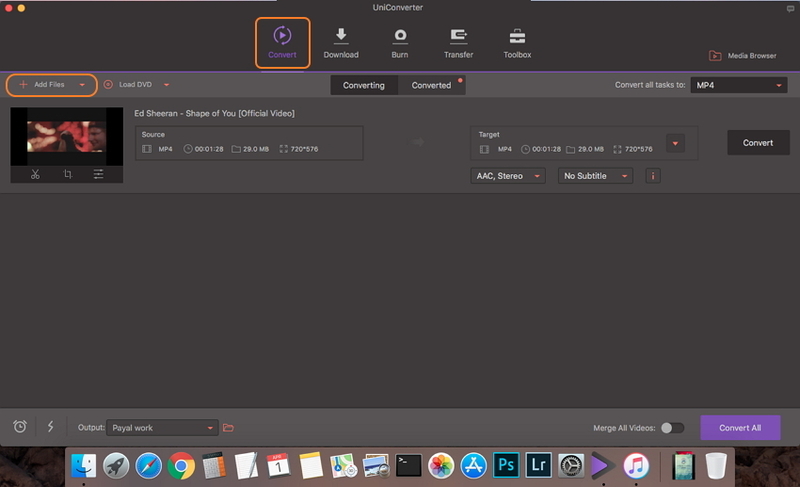 For all your videos related needs, Wondershare UniConverter (originally Wondershare Video Converter Ultimate) is excellent software. The built-in player of the program allows playing all video formats on your Mac without any hassles. Simply add the MP4 file to the player and enjoy watching it in high quality. Additionally, the software also facilitates file conversion to over 1000 formats, so that you can convert your videos to your device compatible files. 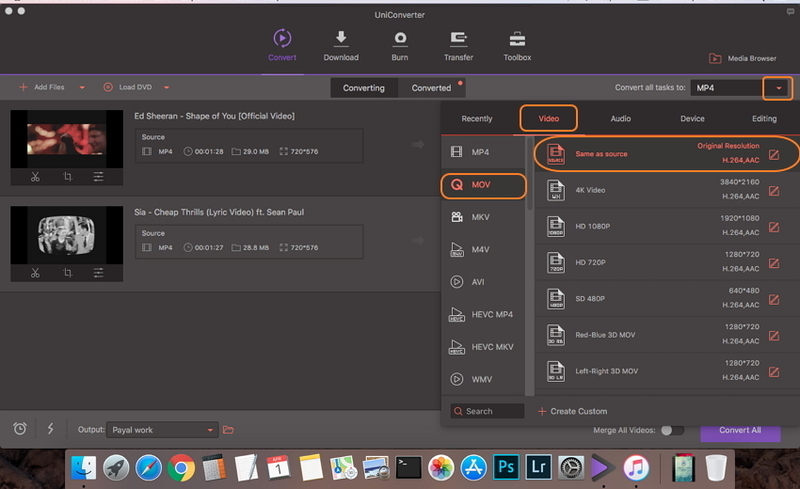 The file conversion process using UniConverter (originally Wondershare Video Converter Ultimate) features lossless quality conversion at fast speed. Additionally, you can also convert your files to device-specific formats without worrying about any compatibility issues. 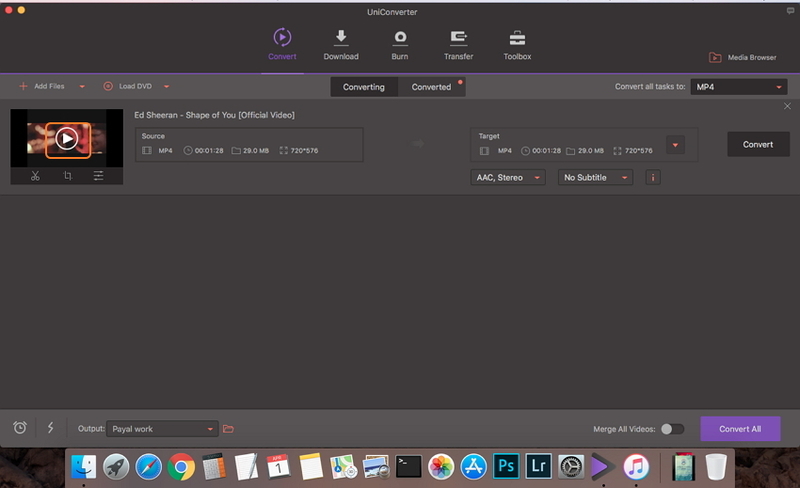 Download, install and open Wondershare UniConverter for Mac (originally Wondershare Video Converter Ultimate for Mac) on your system. 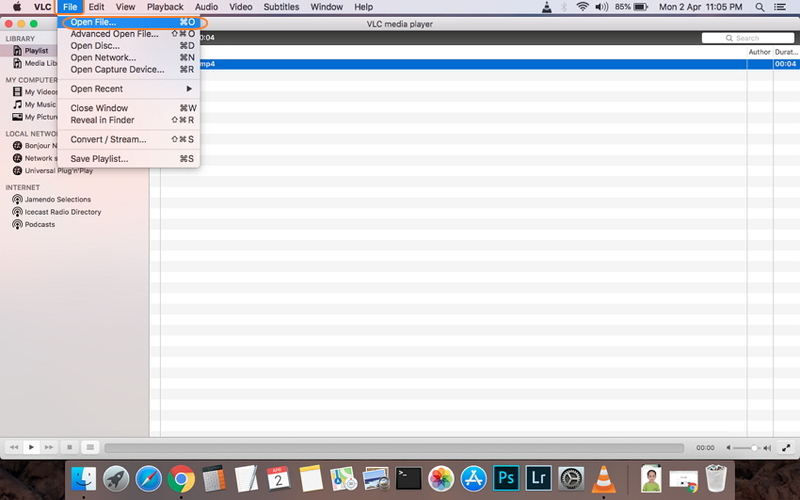 From the Convert tab (default selected), click +Add files to browse and load MP4 files from your system. Alternatively, you can drag and drop the files as well. Once added to the software interface, click the Play icon in the middle of the added video thumbnail to open the default player. Use the play, forward, rewind and other keys on the player window to control playing your videos. 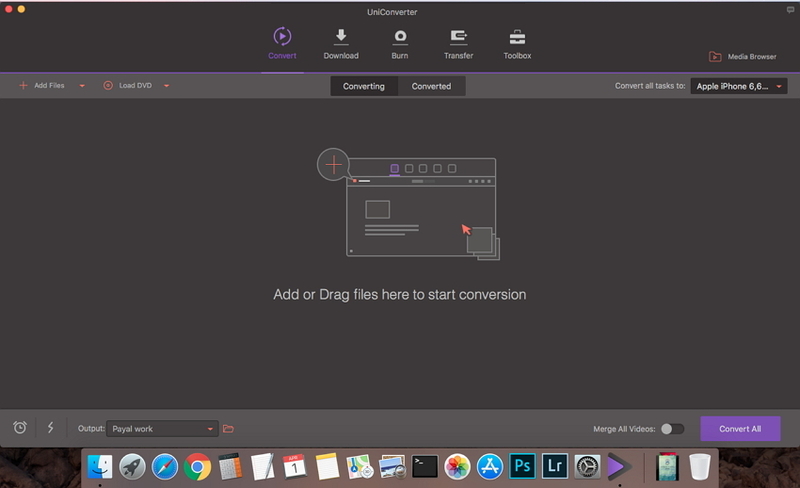 Launch UniConverter (originally Wondershare Video Converter Ultimate) on your Mac. From Convert tab, hit to load MP4 files from your system. Once MP4 files are added to the program, open drop-down menu beside Convert all tasks to: option on the top-right corner. From the new pop-up window, select MOV format from the Video tab. You can also select the desired file resolution or keep it as the original. Select the location where you want to save the converted file via Output tab. Finally hit Convert All to start the MP4 to MOV conversion process. 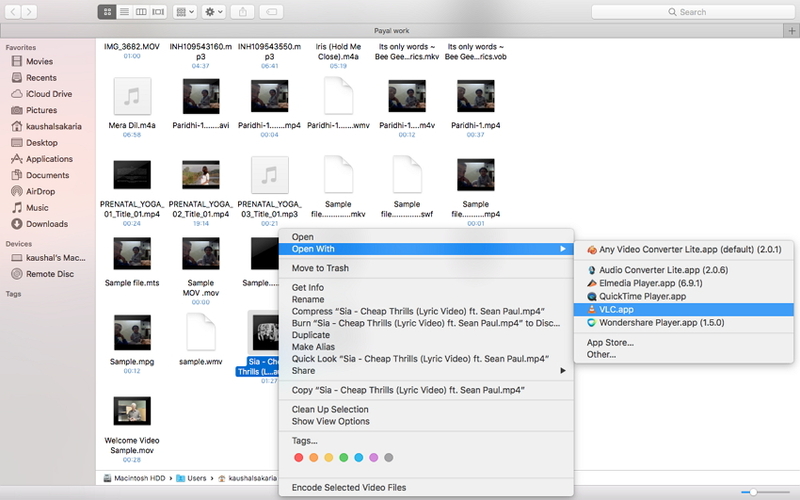 Your MP4 videos will be converted to MOV file and are ready to be played on your Mac. 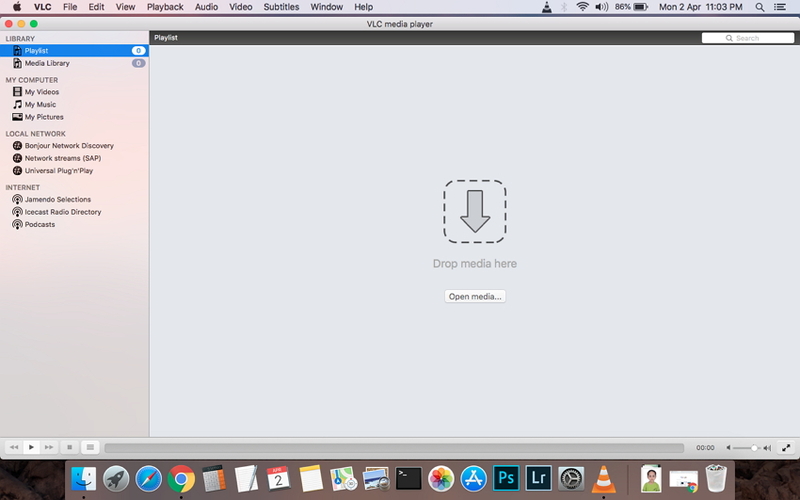 Elmedia is a free to use media player for Mac system that supports playback of an array of file formats including MP4, FLV, RM, XAP, MOV, AVI, and others. The look and the feel of this universal video player is very much like iTunes. The player supports playing your MP4 and other files on Mac without any need for additional codec packs or decoders. Using the player you can also make different adjustments like playing speed, video tuning, deinterlace video, and others. In addition to video playback, Elmedia supports a number of additional features like creating playlist, managing playlist, deleting playlist, and creating smart playlist. Step 1. 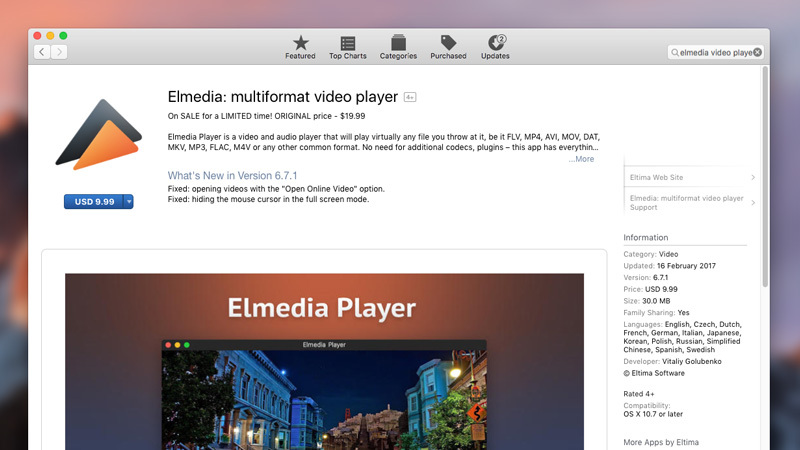 Download the Elmedia universal video player from the Mac app store, install, and open the player on your Mac. Step 2. Next, you need to add the MP4 files to the player library. Select File > Open option from the main menu of the player to add the files. You can also select the desired MP4 file in the Finder, right click and choose Open With option and select Elmedia from there. Another way is to simply drag and drop the files. Step 3. Watch MP4 files in good quality as they play on Elmedia player. 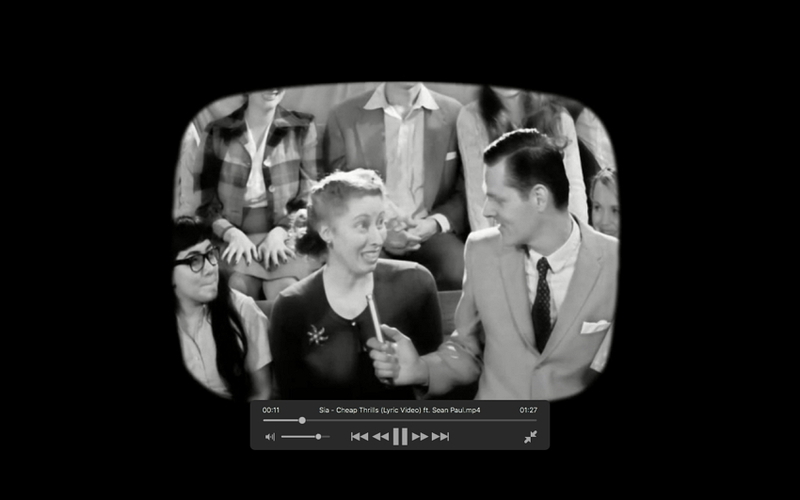 The video control and other additional features are present on the player. 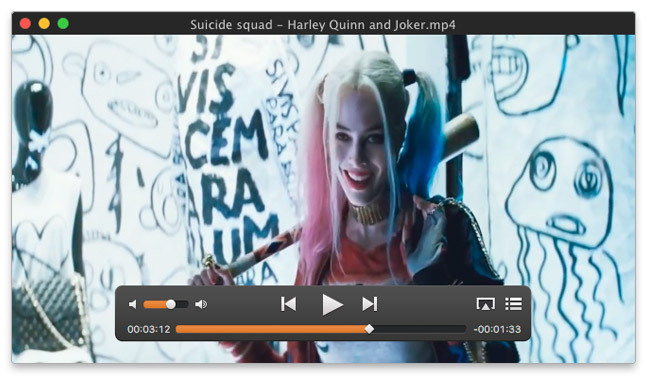 The VLC media player is cross-platform media player that is free to use. 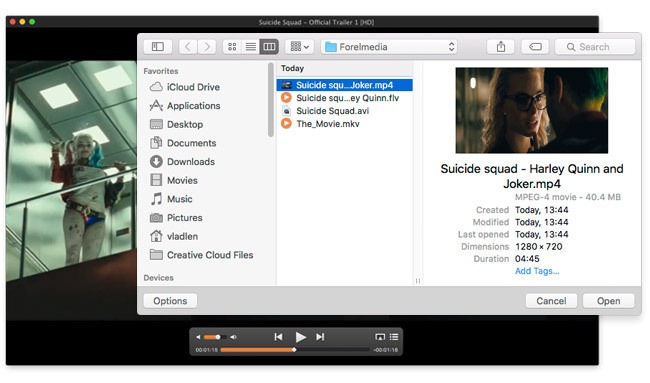 This open source player allows playing your video files on Mac system smoothly. A number of video and audio formats are supported by the player and it streams the media over the network of the computer and transcodes the multimedia files. So one of the most simple and straightforward solution to play your MP4 videos on Mac system is through the VLC media player. Step 2. From main program interface, click drop-down menu at File and select Open File... to browse for the MP4 video that you want to play and click OK. The file will start playing on VLC player right away. Alternatively, you can also select the MP4 video on your Mac library, right-click and choose Open With option. From the list of available options, select VLC Media Player. Listed above are different types of MP4 player Mac. 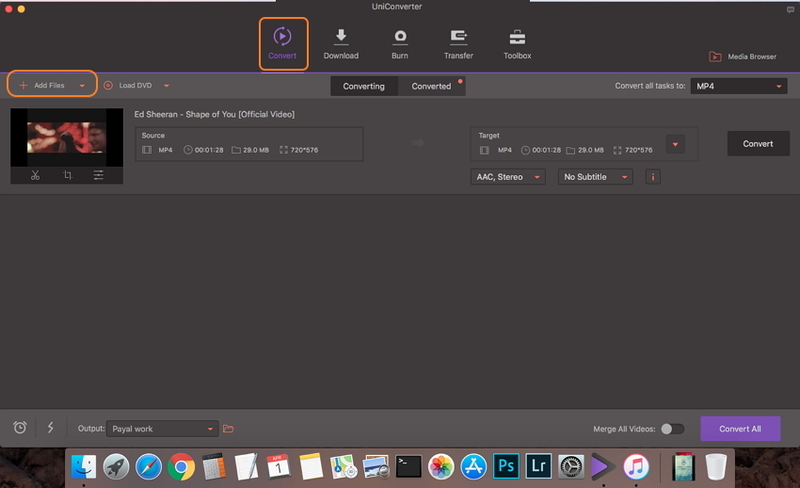 Though all methods are decent enough, if you are looking for additional features and file conversion option, Wondershare UniConverter (originally Wondershare Video Converter Ultimate) is the best choice.